Dowsil, a global leader in silicones, silicon-based technology and innovation, introduced Dowsil® TC-4525 Thermally Conductive Gap Filler to meet fast-growing global demand for improved processability and thermal management in automotive electronics applications. The latest addition to Dowsil’s broad and growing portfolio of heat management solutions, this high-performing new silicone technology delivers thermal conductivity of 2.5W/m.K, greatly improved dispensability, significantly reduced abrasiveness and stable performance for more reliable electronics in harsh automotive underhood environments. “While dense, high-functioning electronic assemblies deliver greater value to automotive safety, reliability, performance and comfort, they are also generating higher temperatures that can reduce device performance and reliability over time,” said Brice Le Gouic, global market manager for Transportation Electronics, Dowsil. Is a soft, compressible, two-part silicone that can be dispensed directly from its original packaging with minimal to no additional process preparation. It is well-suited for automated dispensing using standard meter mix equipment. The material’s excellent thixotropic properties enable it to dispense easily, avoid slumping on vertical surfaces during assembly and – after cure – maintain its vertical stability even after long use. This advanced product platform includes an optional formulation that incorporates glass beads to control bond line thickness during assembly. Precise formulation of the thermally conductive filler enables this material to deliver much lower abrasiveness to lower friction and help reduce maintenance. 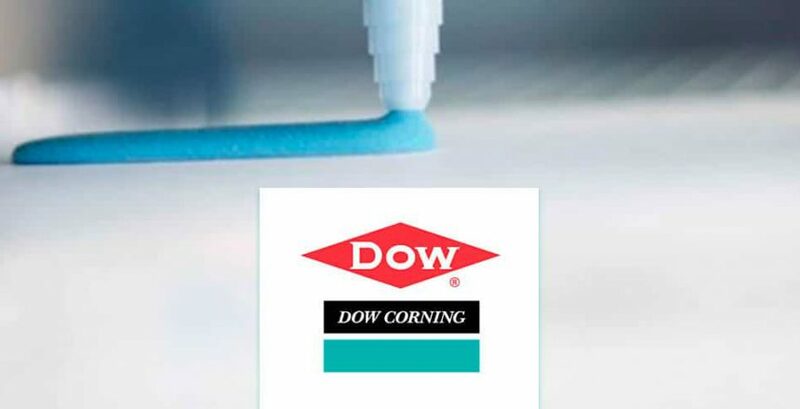 The platinum cure system of Dowsil’s new gap filler enables fast, controlled cure at room temperature, although cure times can be accelerated further with heat to reduce manufacturing cycle times. It requires no post-cure steps, withstands peak exposure at 200°C and performs reliably at operating temperatures up to 150°C. Dowsil’s growing portfolio of advanced thermally conductive materials are especially designed to enable improved performance for many of today’s most demanding automotive electronics applications. The company also offers a full line of high-performance thermally conductive adhesives, encapsulants, compounds and gels to meet critical industry needs. For more details on the TC-4525 thermally conductive gap filler please contact DGE.